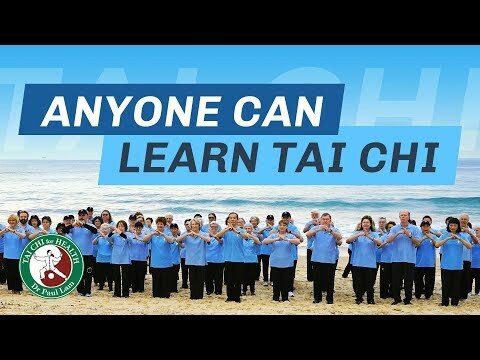 Can you really learn tai chi from a DVD/video? Should anyone use a tai chi DVD or video? and why? Books are invaluable in learning, but DVD/videos have advantages over books for learning tai chi. It is said that a picture is worth a thousand words and a DVD/video, which has numerous moving pictures, must be worth many times more than that. Of course, without the written word, the art of tai chi would not have been so successfully passed on to our present generation, so no one will deny the invaluable contribution that books have made – and can still make – to learning tai chi. However, the value of the DVD/video has not yet been fully appreciated. History will tell us how invaluable they really are. Technology is here to enrich and facilitate our learning. Over the years, I have been inspired from watching DVDs, videos and films of renowned tai chi experts, such as Cheng Men Ching. I also find that watching myself on video helps me to improve my skill and filming my students helps them to see themselves better and thus improve their tai chi. So can one really learn tai chi from a DVD/video?